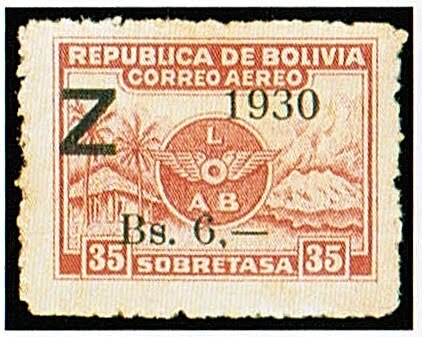 In 1930, Bolivia issued three sets for use on the South America Flight of the Graf Zeppelin. 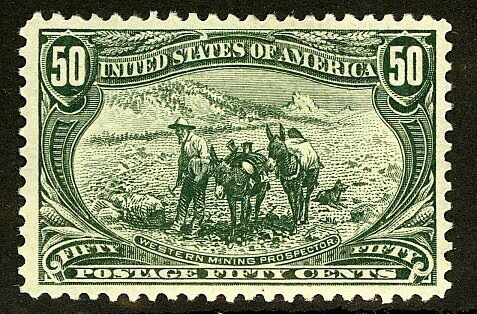 All are worthy of consideration as investments, but as these are overprints, the most expensive of them should be purchased conditional on expertization. Some of the Bolivian Zepps present an expertization cost problem, in that some of the stamps are not quite expensive enough to justify the expense of expertizing them. Zepp Flight covers exist with complete sets of C19-23 or C24-26, and getting such covers expertized is far more economical than submitting individual values from these sets. These stamps strongly appeal to both collectors of Latin America and of Zeppelin stamps. Zeppelin stamps and covers are extremely popular among "Zepp" collectors and Aviation topicalists, especially in Europe. Those issued by destination-countries which are likely prospects for rapid economic development should do very well over the next decades. A nation of about 11 million people, Bolivia is the poorest country in South America, despite being rich in natural resources. Along with substantial reserves of silver and tin, Bolivia has the second largest natural gas reserves in South America and 50%-70% of the world's lithium, for which demand is expected to rise significantly over the next decades, because of its use in making batteries for electric vehicles. Since 1985, the government of Bolivia has implemented a far-reaching program of macroeconomic stabilization and structural reform aimed at maintaining price stability, creating conditions for sustained growth, encouraging foreign investment, and alleviating scarcity. Annual GDP growth has averaged 4.6% over the last 5 years. 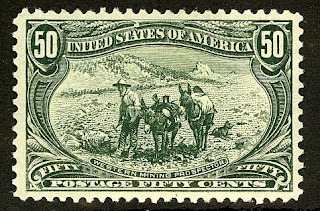 I have begun a new blog, "The Stamp Specialist", featuring my buy lists for stamps which I wish to purchase, including some of the stamps recommended in this article.Periodically viewing dealers' buy lists is an excellent way to remained informed about the state of the stamp market.